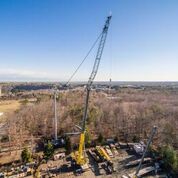 If you need industrial crane services in Virginia then chances are you have some big projects coming up. The company you hire should not only be well experienced in handling these types of challenges but also understand what it takes to deliver high-quality work while making safety a priority. It doesn’t matter what size of a job it is, each job needs to be treated with respect and caution. Rushing in the construction industry never gets a job completed faster because it often times leads to mistakes and delays, two things no builder wants to have happen, especially from a subcontractor that they have hired. When you look for a subcontractor to handle an industrial project, be sure that they are not only well experienced but well equipped to handle that. For example, if the project requires some major heavy-duty lifting, a company that has a 450 ton crane for rent would be a better option than one that does not. These are the kind of things that you should look for when you are making a decision and another one is the options that are available to you. For example, if you have a piece of machinery breakdown, can your subcontractor repair it? Can they offer storage options for you if you are limited on space? These are all things that make your job easier and that’s why you want to look for these options with the company you hire. 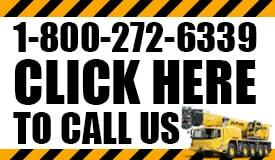 VACR offers elite industrial crane services throughout VA and will get the job done on budget, on time and safely. We understand the importance our role plays in the completion of the project which is why we take every job very seriously. Before you even begin to wonder about price, contact us for an on-site consultation and we will help you game plan the best strategy to ensure that the work is done correctly. What equipment do they have? Why do you need to be concerned with the equipment a subcontractor has? They will be able to handle this job without any problems, but what about six months from now when you have a project that requires rough terrain equipment or something bigger? Make sure the sub you hire can handle the projects you have now and in the future. What’s their track record when it comes to safety? Safety needs to be a priority when you are hiring a sub. The reason is because their work is going to reflect yours. When the owner of the property or the person who hired you looks at the work, they will be looking at it in its entirety which means you need to have confidence in the team you hire. How else can they help me? Among the industrial crane services you are looking for needs to be rental, repair work, rigging, storage and other options that will help you keep the project running on time. At the end of the day, the work needs to be done and it needs to be done the right way. Having a sub you can rely on for years, someone who can handle any type of project, not only gives you peace of mind but it will save you time and money as well. If you are interested in learning more about why we are the team to hire, call us today.